Since Alaska is one of the wettest areas in the country, it’s super important you have a great pair of boots that will serve the purpose. Also, not to mention the hard winds, cold temperatures and slippery and muddy surfaces. 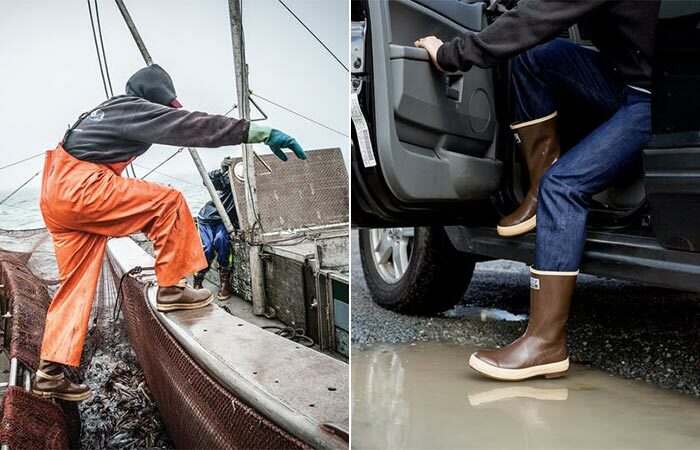 Today, we’re representing XTRATUF Boots, made for professional fishermen and built for the toughest jobs. For the last 50 years, XTRATUF Boots provide ultimate performance. What all the models have in common is the 100% waterproof construction, comfort, and grip. 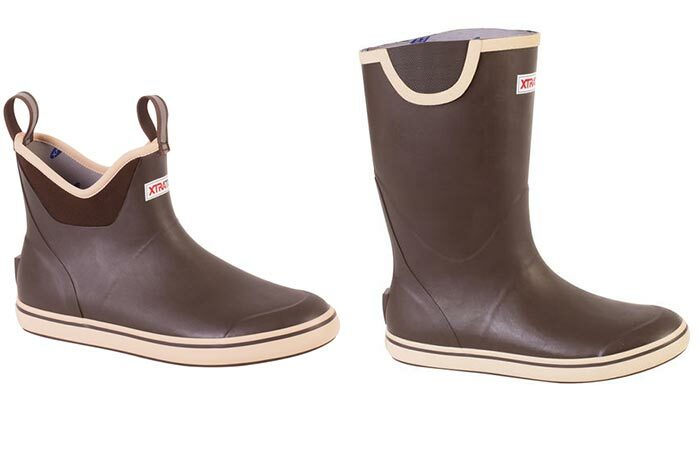 Thanks to a chevron sole, they will provide perfect levels of traction for almost any surface. The neoprene foam and rubber construction also make them flexible and lightweight. The two different models of XTRATUF Boots – one of 6 inches and the other one of 12. Another special feature is the Xpresscool lining. It’s in fact made from moisture-wicking neoprene that will keep your feet dry all day long. You can get a Deck Boot model either with a 6-inch lower-profile or one of 12 inches. Besides this model, we should also give mention to the Legacy Boot. It has a similar structure and is often called “The Alaskan Sneaker”. Because of its design and materials, it’s perfect for commercial fishing. In fact, you can see it in almost every episode of Deadliest Catch. Both models are available in navy and chocolate colors. The boots are a 100% waterproof and very comfortable.